Are supplements better than sudoku? Can supplements help you stop calling your kids by the wrong name and find your keys? Keeping you mind active is often recommended as the best way to keep it functioning well as we age. But like every other part of your body, your brain also needs optimum nourishment to perform at its best. In the brain, nutrients facilitate essential functions that enable you to think, remember, sense, act and react. Nutrients, derived from our food and from supplements, help brain cells burn glucose – their primary fuel – more efficiently, they help protect brain cells from oxidative damage. They also help brain cells make important neurotransmitters, the chemical messengers cells use to communicate with each other and the rest of the body. » Our brains are ‘hungry’ organs that require constant nutrition. » Good, fats, antioxidants, herbs such as ginkgo biloba and B vitamins may all help keep the ageing brain functioning well. For instance a typical “Mediterranean” dietary pattern has been found to be protective against age-related cognitive decline. This type of diet provides higher amounts of healthy omega-3 fatty acids (from fish), monounsaturated fatty acids (from olive oil and other vegetables), antioxidants (from fruits, vegetables and wine), and B vitamins (from cereal) than the typical Western diet. All of these are beneficial to both heart health and brain health, especially when they replace saturated fats and sugars. B vitamins, especially thiamine, niacin, folate, vitamin B6 and vitamin B12 are all implicated in brain health. Adequate levels of thiamine, niacin, vitamin B6 and vitamin B12 are needed for the efficient metabolism of glucose, the brain’s primary fuel, and dementia is one of the symptoms of deficiency in these vitamins. Folate, vitamins B6 and vitamin B12 are involved in the metabolic cycle that regulates homocysteine, an amino acid formed during the breakdown of protein. Elevated homocysteine has been shown to be a risk factor for impaired cognitive abilities in the elderly, as well as for a decline in memory, and the dementia related to Alzheimer’s disease. Elevated homocysteine has been associated with inadequate intake of vitamin B12, vitamin B6 or folate. Co-enzyme Q10 is a powerful antioxidant found in almost every cell in the body. Some researchers believe that CoQ10 may also help with heart-related conditions, because it can improve energy production in cells and prevent clot formation. Ginkgo leaf extracts have been shown to protect neurons from oxidative damage potentially preventing the progression of tissue degeneration in patients with dementia. It is also useful in maintaining a healthy circulation. A review in the British Journal of Clinical Pharmacology looked at more than 40 clinical studies of ginkgo in the treatment of many forms of dementia such as Alzheimer’s and concluded that the research standard was high and that Ginkgo was effective in the treatment of dementia. Various parts of the brain associated with learning and memory experienced significant improvements in synaptic function after being supplemented with dietary magnesium. Unsaturated fats – the “good fats” that promote heart health – also promote brain health. These include polyunsaturated fatty acids from vegetable sources (corn oil, safflower oil, soybean oil, peanuts) and from marine sources (fish oil; fatty fish such as tuna, salmon and herring) and monounsaturated fats from plant foods (olive oil, tree nuts) and medium chain fatty acids such as coconut oil. Unsaturated fatty acids are critical components of neural cell membranes and are needed for the production and proper functioning of neurotransmitters, the chemical messengers these cells use to communicate. Likewise research now suggests that signs of brain ageing can be delayed through higher intake of medium chain fatty acids, such as those found in coconut oil. Oxidative damage to brain cells is strongly implicated in Alzheimer’s disease and other forms of cognitive decline. Oxidative damage occurs as a result of metabolic reactions that release unstable molecules called “free radicals,” which in turn attack the fats in cell membranes and other critical cell structures. The brain is very rich in fats that are vulnerable to oxidation. Certain nutrients, such as vitamins E and C, are antioxidants with the ability to neutralise free radicals, thereby protecting cells and tissues against oxidative damage. 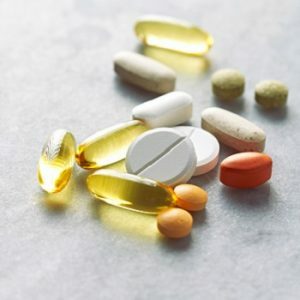 For this reason, scientists have been studying a possible protective role for these vitamins in the brain and nervous system. Low levels of vitamin E have been found in the cerebrospinal fluid of Alzheimer patients, making this tissue vulnerable to oxidation. In laboratory studies, vitamins E and C were shown to protect the cells in this fluid against oxidation. Other antioxidants and plant compounds such as alpha-lipoic acid, coenzyme Q10, Ginkgo biloba, curcumin and fruit polyphenols and green tea polyphenols are also being studied for potential benefits in brain health. Herbal tinctures can be a great way of giving yourself a concentrated boost of herb power. To promote greater clarity, focus and concentration when you need it try this blend,which you can make it up yourself using equal amounts of each tincture (try 2 drops of each) in a tumberful of water up to 3 times a day. Ginkgo – Flavonoids in ginkgo support the circulation, benefiting the brain by improving its blood flow. Ginkgo is renowned for improving memory, concentration and mental lethargy. Scullcap – Soothes the nerves and quiets the mind, helpful for workaholics and those who wake making mental lists. Gotu kola – It is rich in flavonoids, for healthy circulation to the brain, providing vital nutrients and oxygen. Oats – A good source of vitamins B and E, magnesium, zinc and other crucial minerals, plus essential fatty acids, vital for energy and a healthy nervous system and brain. Ashwagandha – A rejuvenative tonic, ideal when the body needs strengthening may be due to general debility, illness, overwork, stress or nervous exhaustion. Helps with focus, clarity of mind and memory.